“Sven Types of Terrorism” by Gareth Twose. In a recent interview in The Paris Review, J H Prynne, commenting on a poetry reading he had just attended, said "These poems we heard this evening, some of them were quite witty, some of them were adept. But they're all poems written by a poet, and I could do without that." Prynne continues, "To hear poems that were written by a poet is to find them trapped in the poetic habits from which they originate." "Born irritated. Norman killer. Check top right, Bayeux Tapestry, the guy aiming syringe into eyeball of English Boeuf head. No way does this guy queue. I mean, slowing down, stopping. Every road a race track. The name on my vest: Discovery: deep blue, the patches of planet earth as seen from space, the figure-hugging lycra pants, thigh size." "All riders need a hero-shot: me scooting down the side of a row of cars stuck at lights, me slicing through, switching lanes, a seamless segue. Ride-by assasination." I enjoyed Twose's earlier pamphlet, "Top Ten Tyres", but the density of its language made it, at times, an exhausting read. This book is looser, more accomplished; there's just enough breathing space for the reader to relax and enjoy the wit and zest of the language. The poetry parodies political language, marketing spiel, and the mores of contemporary society; but it's overall feel is not one of anger, but of humanity and wit; the language resisting these political and commercial forces by its sheer effervescence. "73. Conspiracy theorist Dr. Shad State demands that the monument be smashed up into a million pieces and used to make some rather nice furry coasters. Or funky enamel ware. 87. On page 96, Aleksandr says he always remembers what his aunt, a one-time collector of Edwardian furniture and former presenter of Flog It, said on cold desert nights in the burrow: you have to warm your eye up, to look through it all." "'The Glasvedas', the earliest texts of Glaswegian philosophy, describe the universe going thourgh repeated cycles of creation, destruction and rebirth, with each cycle lasting a Friday night"
a). a shadowy continuation of labour. b). something that involves DIY"
Type Seven is simply "The missing 'e'" (i.e. missing from "Sven"); this, presumably, is a nod to Georges Perec's novel "La Disparition", written without using the letter "e", and is a nice bit of playfulness, typical of this work. by a fixed odds betting terminal." The poems satirize contemporary idiom, especially that of commerce; cultural references, both real (Poundstretcher) and parodied ("The Man Who Fell to Perth") crop up at frequent intervals. There is, of course, a certain level of satirical intent in these poems, but here, as in the rest of the book, there is a sense that the whole thing is driven more by Twose’s zest for language; the strength of the book is that he gives this impulse free rein. This final sequence is a pleasure to read because you sense that the writer enjoyed writing it, that he took pleasure in the puns, wordplay and linguistic associations which are, it could be said, the basis of poetry (even though this particular poetry is not written by a poet). 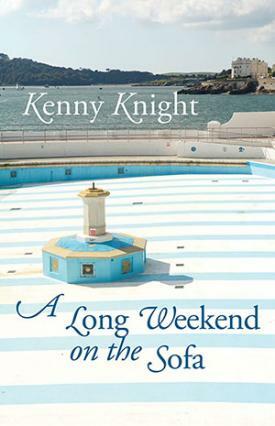 “A Long Weekend on the Sofa” by Kenny Knight. 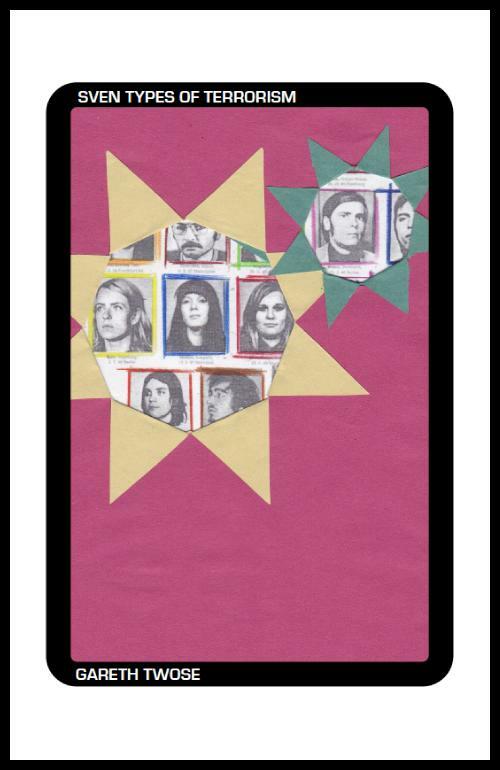 I reviewed Kenny Knight's previous collection here; I thought it was a tremendous book, and much that I said about it applies to this current one, so I'll keep this notice brief. When I heard Knight had a second collection due, I wondered if he would be hit by "difficult second album" syndrome, and whether the book might be simply more of the same. In fact, this book represents a real development on "The Honicknowle Book of the Dead"; the new book is quieter, more surreal and more literary, and the poems more dreamlike and ambivalent in tone. Knight has gone further in developing his vision of Plymouth as a place of the imagination; the notes listing people and places at the back are a pantheon of local gods and godesses; they're both personal, and at the same time, help to weave the fabric of this alternative world. It's serious poetry, affectionate and moving, but which has lost none of its humour, or its pathos and depth. The poems seem to have gotten longer since the last book, with several spread over four or five pages, sometimes more. Knight carries the reader along in these poems with apparently artless affability, whereas, in fact, to write like this takes great skill. The unit of metre might be the sentence, many of which last for several paragraphs; Knight has the skill of a good stand-up, to spin the thread of a monologue, with digressions and surprising switches of attention, but maintaining the narrative line. The poems are as good as the titles, and this book comes highly recommended.